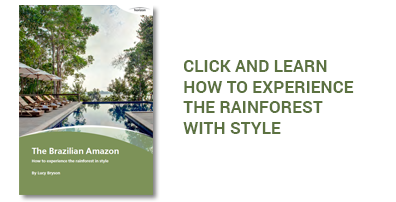 A journey into Brazil’s most classic sights starting at the magnificent Iguassu Falls, one of the Natural Wonders of the World, combined with São Paulo, Latin America’s non-stop metropolis and largest storehouse of urban art of the planet! 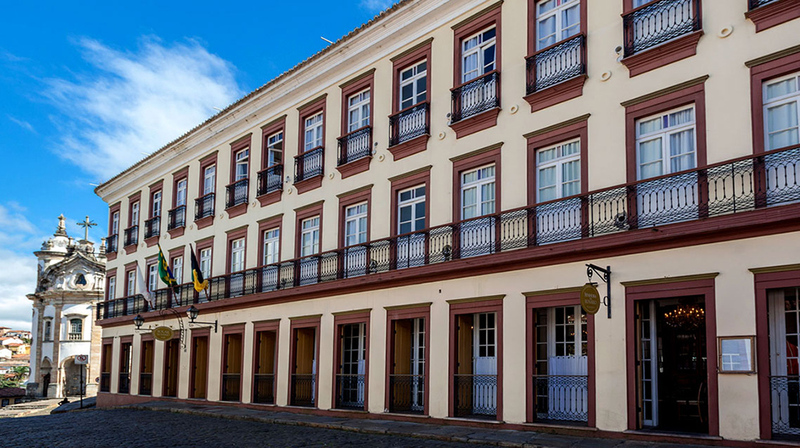 A few days to soak up some history and culture in the historical towns of Minas Gerais, where the first ‘gold rush’ in the World occurred in the 18th Century, before hitting Rio de Janeiro to guarantee finishing on a high note. Arrive in Foz do Iguaçu. 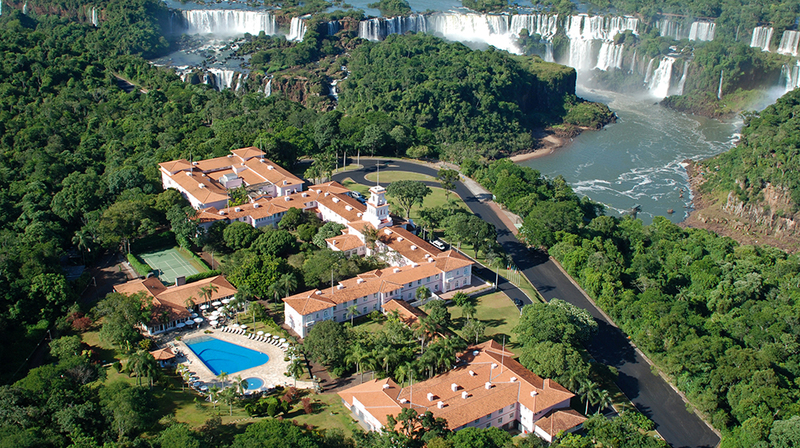 Since the falls are at the doorstep of your hotel, a short walk (200m) leads to a prime view of them. Here, a 1km track begins through the forest. The end of your trek leads to the most impressive segment of the Falls, only steps away from the mighty Devil’s throat! : In the morning, enjoy a scenic helicopter flight to see the power of this awesome spectacle of nature from above. Follow on to the Argentinian side of the Falls, where the paths are narrower and afford a more intimate contact with this beautiful natural environment as well as a train ride to the top of the Devil’s throat. Arrival in São Paulo and spend some time at leisure to recharge your batteries. You’ll have time to explore the iconic Paulista Avenue and the charming neighborhood of Higienópolis, also known for its prominent cultural institutions. Explore the city centre with your local guide. Look between the high-rises and you'll discover splashes of history, encapsulated in a small but rewarding set of churches, houses, and museums. After lunch, proceed to the Vila Madalena tour – the street art neighborhood and a perfect place to observe this more bohemian side of the city with all its fresh galleries, charming shops, bars and terraces. 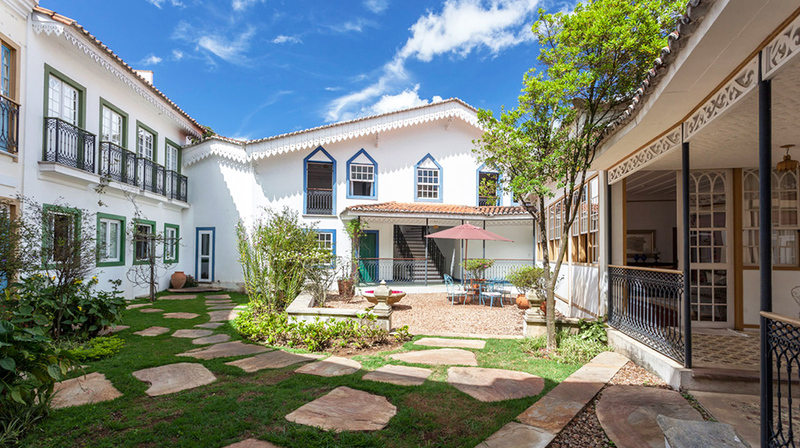 Upon arrival at Belo Horizonte, follow on to the city to Tiradentes, the most picturesque of all the so-called Historical cities, with the best restaurants, hotels and shops. Have lunch at São João del Rei and go to the small village of Coronel Xavier Chaves to find out more about the best Brazilian cachaças. Visit a traditional Alambique (a sugar cane distillery) from the 18th century. Then, visit the Alambique Jacuba, which has a more modern cachaça production than the first. Which one is better? Discover it yourself. The day starts with a short walk to São Francisco church, from where you will have a good view of the town. Your guide will give you a historical overview while you go through some of the main monuments. Visit the Liturgy Museum and end the tour with a 30 min walk by the Mãe D’água woods. At night, you will have an exclusive dinner in a privately owned house, awarded for its modernist architecture. The owners are great cooks and will serve you a delicious dinner and wine for this evening. The immersion in the city’s history continues with a visit to the iconic São Francisco de Assis church. In the afternoon, visit the Mineralogy Museum before a special meeting with a local story teller, who will let you know all about the myths of the region and put all the last 4 days in context. After check-in, head for a reconnaissance tour of the area. Enjoy the view from the platform on the hill-side of Leblon. Carry on down and start a leisurely walking tour of Ipanema to feel its unique vibe. Move towards Copacabana to visit the iconic Copacabana Palace hotel, which has lodged more Kings, Presidents and Celebrities than all other Brazilian hotels put together. Walk or drive down to the Copacabana Fort for a drink at sunset with the iconic view of Copacabana bay before returning to the hotel. First stop at the Corcovado Mountain and the statue of Christ the Redeemer, one of the 7 Wonders of the World. Reach the mountain top in a small electric train going through lush vegetation. Afterwards, walk through the charming Santa Teresa neighbourhood. Continue to the historic center of Rio, where your guide will show you some of the most important places and buildings. End the day at the Sugarloaf Mountain – one of the best places to watch the sunset in Rio! A local chef will pick you up at the hotel, take you to the street market and give you an introduction to typical Brazilian ingredients. Continue to the chef’s house where you will prepare a three course meal in a very informal and fun cooking session. Afternoon at leisure to relax or explore the city by yourself. Last day in the country! Enjoy some last minute souvenir shopping, or sunbathing on Ipanema beach and get ready for your international departure. 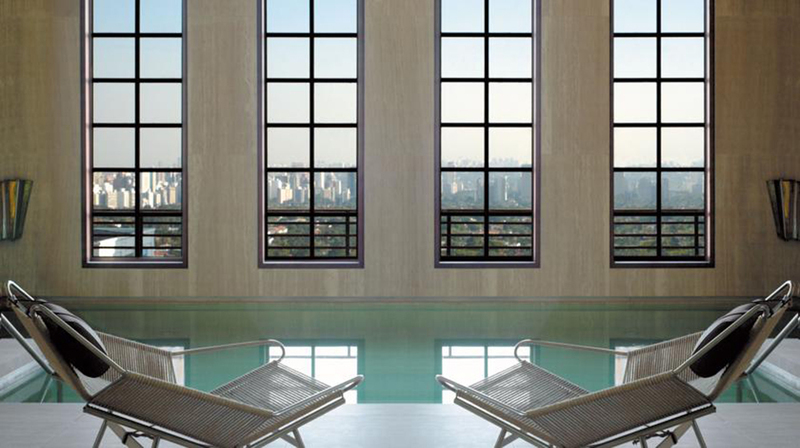 Located by the trendy Ipanema Beach, the Fasano hotel was designed by Philippe Starck to be Rio’s finest. 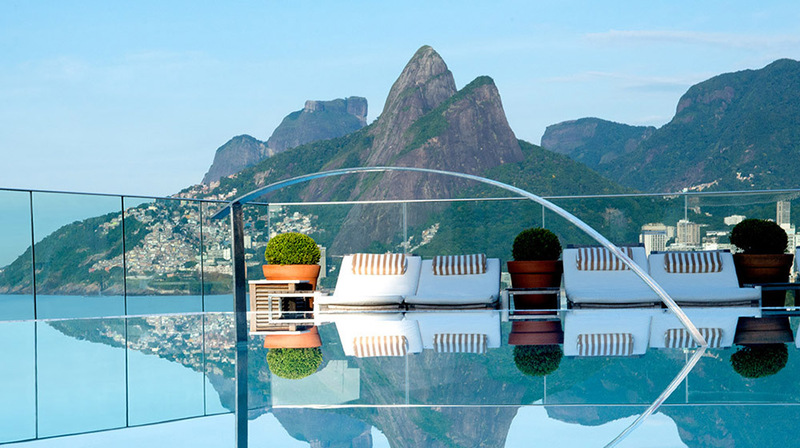 This contemporary hotel stands out in Rio with ocean view rooms and large balconies, a roof top area with a bar and an amazing swimming pool.